So, I wanted to have some cool before and after picture of my concealer routine for my under eye area because I think it works miracles. However my photos didn't look different at all. So instead I will just run through what I use for concealer. Bobbi Brown Corrector (Light Bisque) £17.00 - This is one of the best things I've ever bought for my dark circles under my eyes. 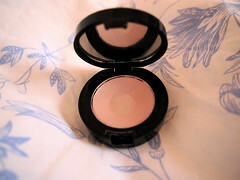 It has a pinkish tone that neutralises my purple dark circles so that I can then apply my concealer on top of it. I was a little skeptical at first, it's a very small pot for the price, but it really is the only thing I've found to work on my pesky under-eye area. 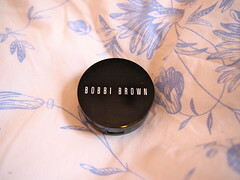 Bobbi Brown Creamy Concealer Kit (Ivory) £23.50 - I bought this kit with the corrector and the two work so well together. The concealer is very high coverage, which is perfect for me. The consistency is quite thick but the setting power really helps to blend it in. It does have a tendency to crease but only after a while. 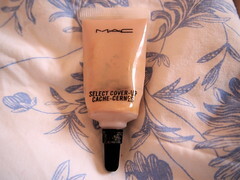 For me, it is the best under eye concealer I have ever used. 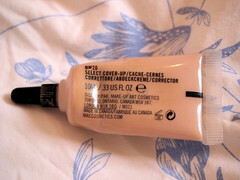 MAC Select Cover-Up (NW20) £13.50 - I went off this for a while because I was hankering after some fuller coverage but this works great with the Bobbi Brown Corrector so I've come back to it recently. 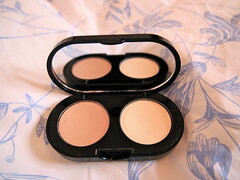 It's really light weight, not cake-y at all, and it brightens up my under-eye area well. Don't know why more people don't talk about this concealer! 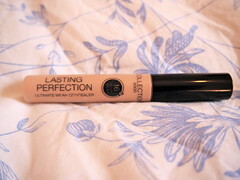 Collection 2000 Lasting Perfection Concealer (2 Light) £4.19 - I really didn't think I would ever find a high street/drugstore concealer that would cover my monster dark circles but here it is! So many people have talked about this and I am in total agreement. This shade is on the darker side for me so I use it when I'm more (fake) tanned. As a rule of thumb I generally like to have my under eye make up a shade lighter than my foundation. I also use this concealer for any blemishes I might have. Both under my eyes and on my blemishes it lasts such a long time and doesn't look too heavy. Pretty great really. Like I said, I wanted to post some before and after pictures but they just didn't really do the improvements justice. I guess you will just have to trust me! Next...contour. 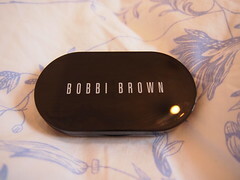 bobbi brown is my favourite! thanks for following me on hello cotton, i follow you also! great blog. you do PR also? I bought the collection 2000 concealer last week after seeing so many bloggers rave about it. I really like it for under my eyes, it definitely makes them look brighter and hides any blackness :) I haven't got on as well with it for blemishes but I think I need to just work on my application as I haven't used a liquid concealer before.